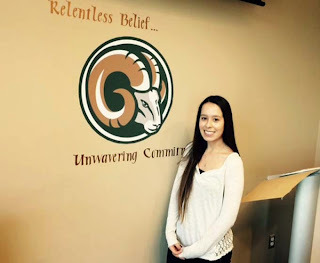 A Murrieta Mesa High School senior is the only student in the Murrieta Valley Unified School District and one of only 1,000 out of 52,000 applicants nationally to be awarded a Gates Millennium Scholarship this year. Aimee Sanchez will receive a full scholarship to Biola University, where she plans to study biology. After initially applying in November and writing several essays regarding her leadership abilities, activities and goals, Sanchez received that special letter in April. "I started looking into it two years ago, when a student became the first person from Mesa to get it," Sanchez said. "I wanted to get to college without loans or anything. And if I go on to postgraduate work, they will help me with that, too." The scholarship is awarded by the group Gates Millennium Scholars, based in Washington, D.C. Applicants must be a minority with a GPA of at least 3.3 and must have demonstrated leadership abilities through academic work and extracurricular involvement. Sanchez has a 4.3 GPA and is head drum major of the Mesa band. She is also involved in clubs on campus and is a church Sunday School teacher who plays piano. She plans to study biology in preparation for a career in medical research. "What got me into biology was that my brother has autism," she said. "When he was diagnosed, there wasn't much known about it. My parents didn't know exactly how to help him. I want to be able to help families with other diseases that aren't so well known to help find cures." Sanchez is excited about the opportunity to attend Biola beginning in August. "It's one of the top schools in the nation," she said. "It has smaller class sizes and individualized learning. When I visited there, I felt like I belonged there. It's such a community atmosphere."